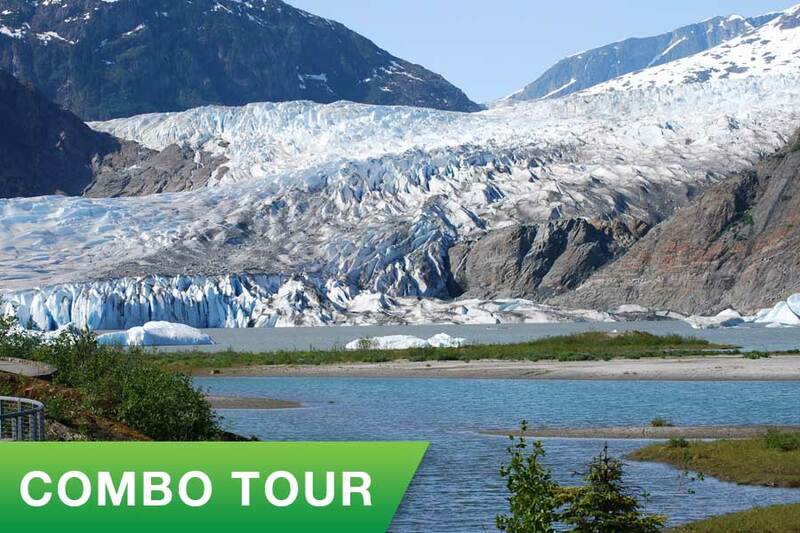 Check back to find the best Juneau Tours! 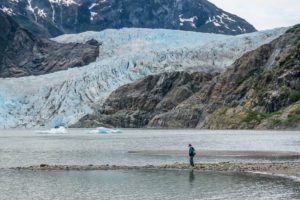 From Juneau the land meets the ice at the Mendenhall Glacier, our majestic centerpiece. 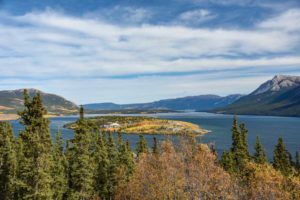 At over 12 miles long the glacier park offers stunning views from any vantage point. 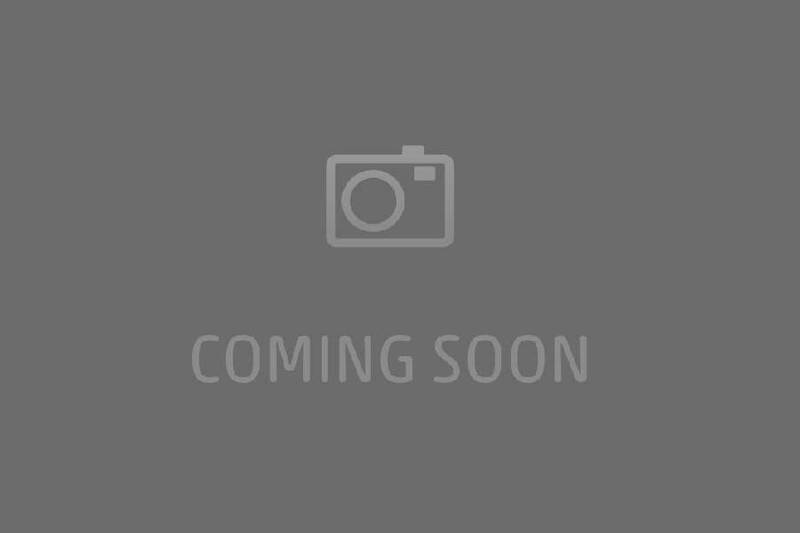 The heart of the city offers a handful of museums, churches, totem poles, murals, and sculptures. 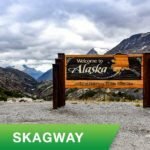 Special stops at the Sealaska Heritage museum, a new Alaska State Museum, an educational stop at the local DIPAC fish hatchery, and a stop at the famous Red Dog Saloon. 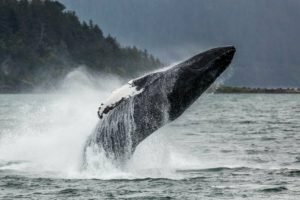 Humpback Whales travel up to Juneau's pristine waters in the Summer months to feed upon the rich fish of the Alaskan waters. 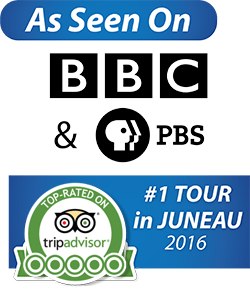 Juneau Tours is one of the premier tour providers with new custom designed boats and amazing naturalists. 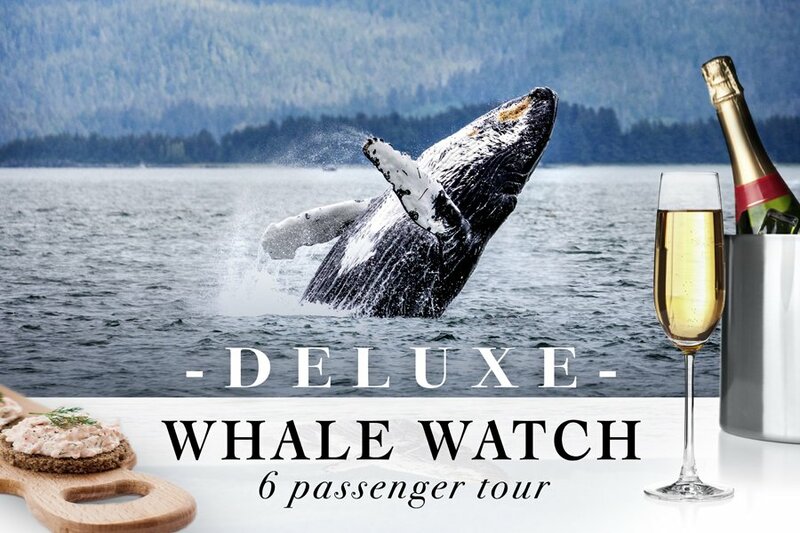 JUNEAU BY ICE – Nestled inside a lush rain forest, the combination of pebbled beaches, quiet waterways and glaciated mountains of Juneau, effortlessly lure in visitors by air and sea every year. 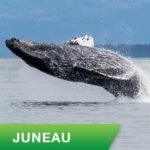 Juneau by land is a wildlife viewing paradise with more animals than people, and a recreational playground with more miles of hiking trails than miles of road. 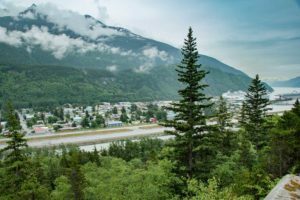 Where the city ends, Juneau’s Ice field begins. 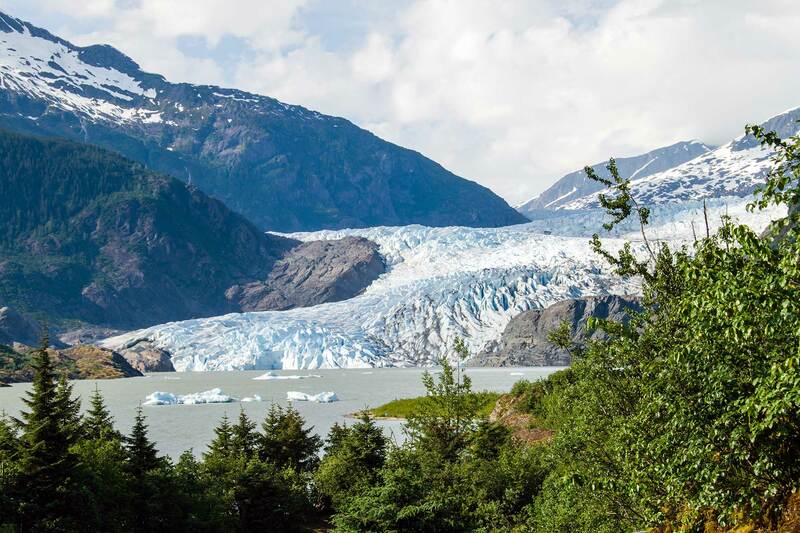 From Juneau the land meets the ice at the Mendenhall Glacier, our majestic centerpiece. 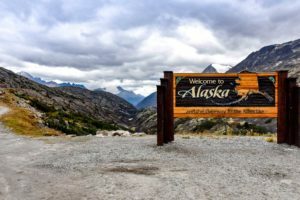 At over 12 miles long the glacier park offers stunning views from any vantage point. 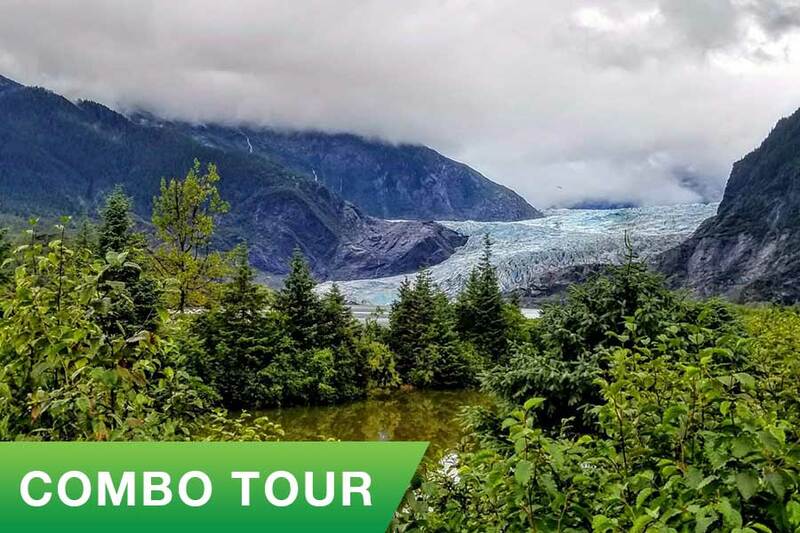 Enjoy the Mendenhall Glacier via our half hourly Glacier Shuttle, our 2 1/2 hour City & Glacier Tour, or combo the tour with our Whale Watch. 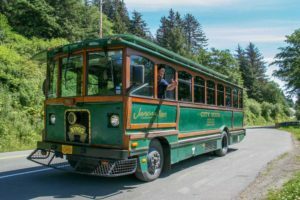 JUNEAU BY LAND – the Alaska Capital City of Juneau can be experienced by our Vintage Trolley Tour or our City & Clacier Tour. 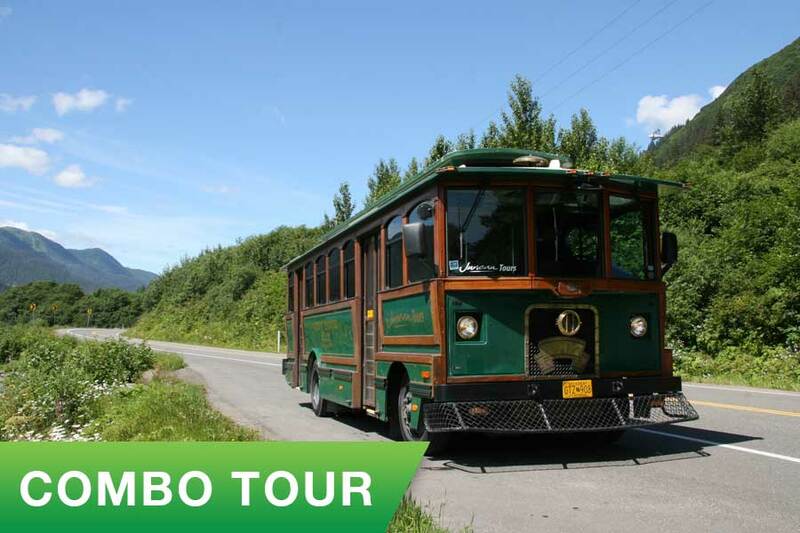 Your tour includes the history of this frontier town, an educational stop at our local DIPAC fish hatchery, and the heart of the city, a handful of museums and churches, various art communities and Sealaska Heritage Institute. 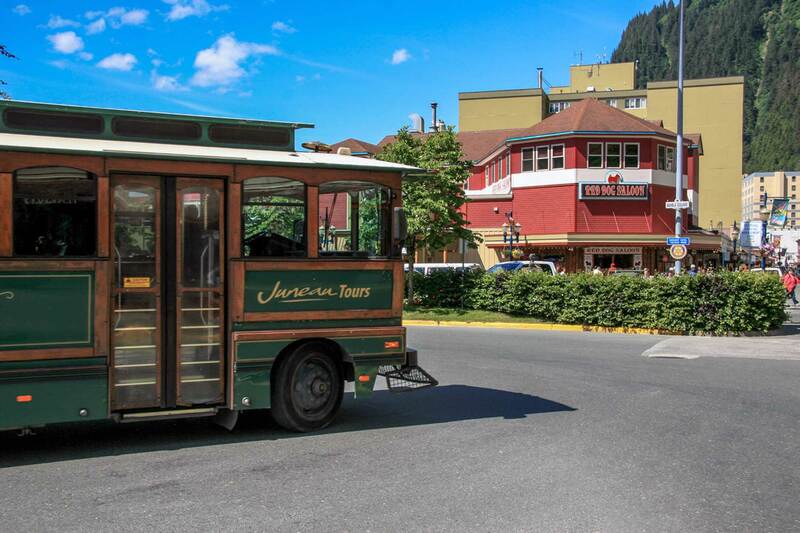 Historic Juneau is home to an abundance of carefully resstored 19th centrugy buildings, as well as totems, murals, sculptures and carvings dotted throughout the city. 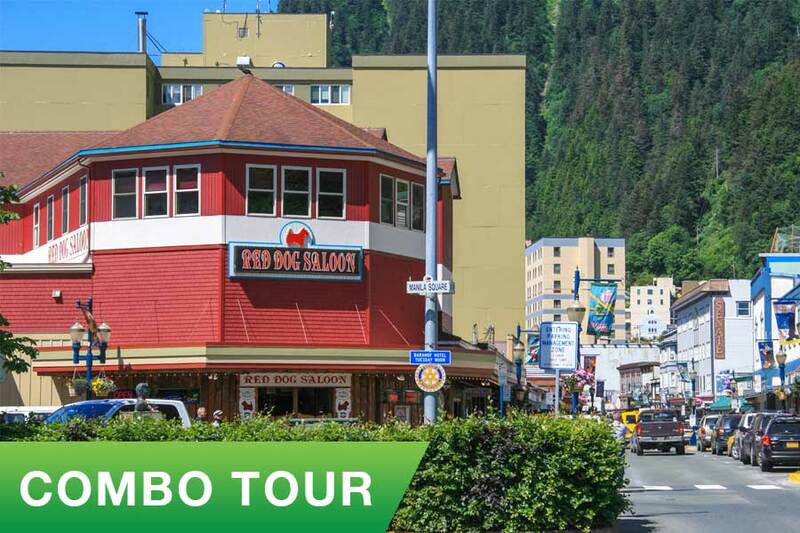 The tour ends at the Red Dog Saloon for your refreshment needs, and prime shopping opportunities. 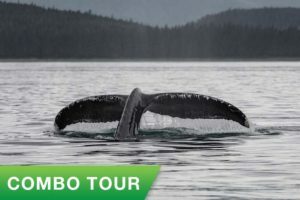 JUNEAU BY SEA – Take to the pristine waters and say hello to Juneau’s largest residents, the Humpback Whales! 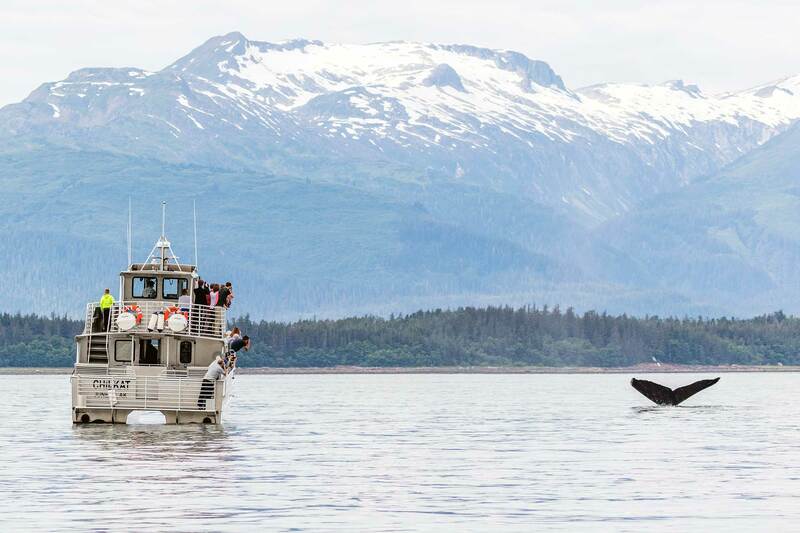 We provide the highest quality and competitive Whale Watch Tours aboard our fantastic fleet of custom boats! 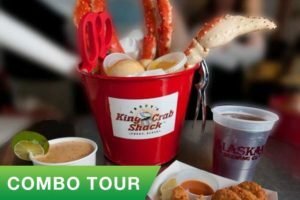 (Also available for private charter). 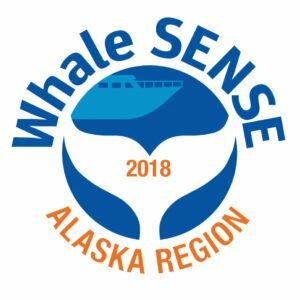 As a member of Whale SENSE, Juneau Tours is one of the premier tour providers in Juneau. 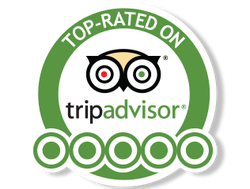 Book a tour online and be ready to chase those whale tails!